- FrancesCassandra: UK fashion, beauty and lifestyle blog. 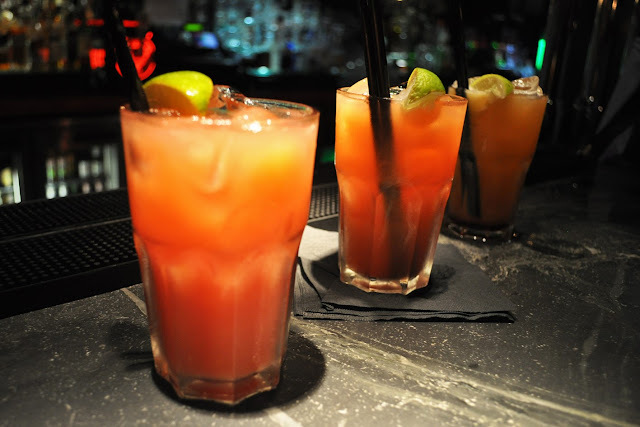 : Blogger Shenanigans: Get The Label Reunion Part 1: Manchester. 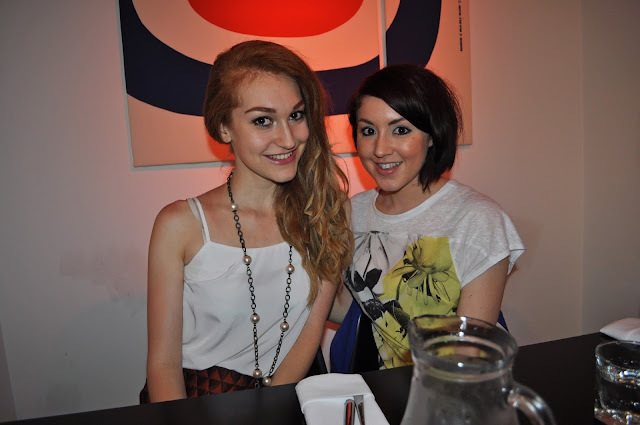 Blogger Shenanigans: Get The Label Reunion Part 1: Manchester. 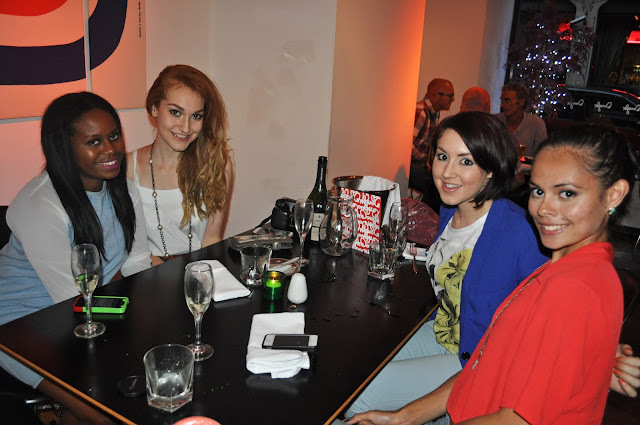 One of the things that I have loved most about blogging is the new friends I have made along the way. A problem that I have always had is that none of my local, "real-life" friends share the same interest in fashion, beauty and writing as I do, and I am very much the odd one out in that I have long grown out of venturing in to town every Saturday night and spending all my money on alcohol only to feel like utter rubbish the next day. 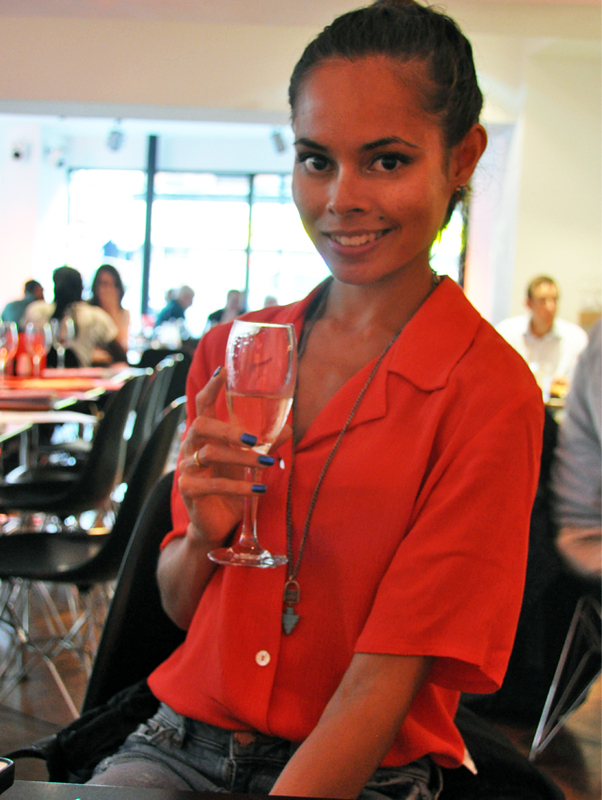 So, I am more than thankful that blogging allows me to attend events where I can mingle with like-minded people. The lovely Laura (Heroine In Heels) piped up with the idea for a bunch of us bloggers who attended the Get The Label Urban Party event back in May (read my post on that amazing event here) to have a little reunion, and after a little bit of organising, we met up at Dough Pizza Kitchen in Manchester on Wednesday and what a lovely evening it turned out to be. Unfortunately, there only ended up being four of us; myself, Laura, Lola (The PastimeBliss) and Rosy (Ro's Tinted), but this didn't make it any less of a good night. 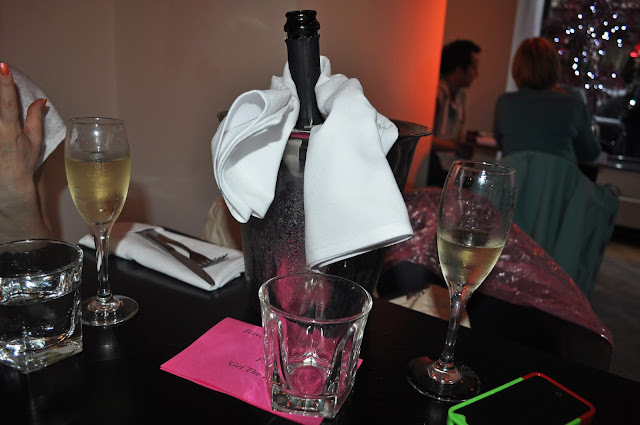 Upon arrival at Dough we were surprised with two bottles of the blogger's classic beverage, Prosecco, that Get The Label had secretly organised for us. How lovely?! 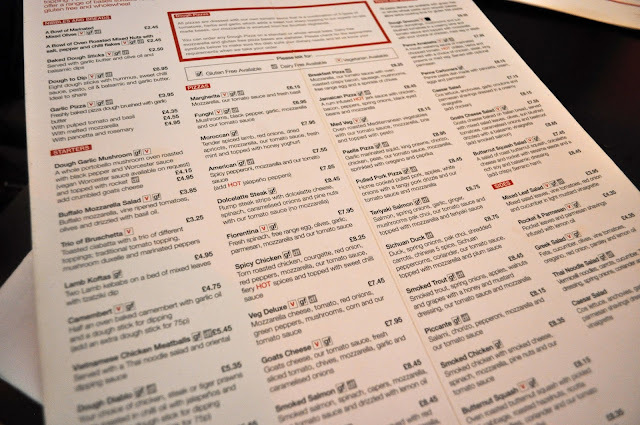 We were so taken aback and spent a good amount of time discussing how much we love the Get The Label team whilst we poured ourself a glass ;) After a brief catch up with one another it was time to order food. The menu was a little bit too much for my indecisive little brain; I had spent the train journey to Manchester convincing myself that I was just going to settle for a classic pepperoni pizza, but after looking at the incredible gourmet pizza topping combinations I decided it would be a shame not to go for something different. 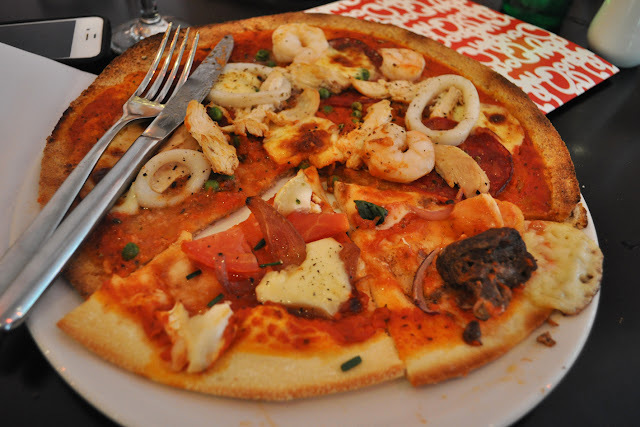 After much deliberation, I went for the Paella Pizza on a wholewheat base (I loved that they had this option- I'm a bit of a health freak and if I can make my indulgences a little healthier then why not?! :P ), which was topped with mozzarella cheese, tomato sauce, garlic squid, chicken, king prawns, chorizo and peas. Me and the other girls ended up doing a little swapsy and traded a slice of each of our pizzas to try- I fell a little bit in love with Laura's Moroccan pizza which was topped with amazingly succulent spicy lamb, dried apricots and honey yogurt. Definitely one to have next time! Being a small girl with a huge appetite, I managed to finish the whole pizza no problem, and Laura and I even found a bit of room for dessert, despite the fact that we were the only ones who completely demolished our pizzas! 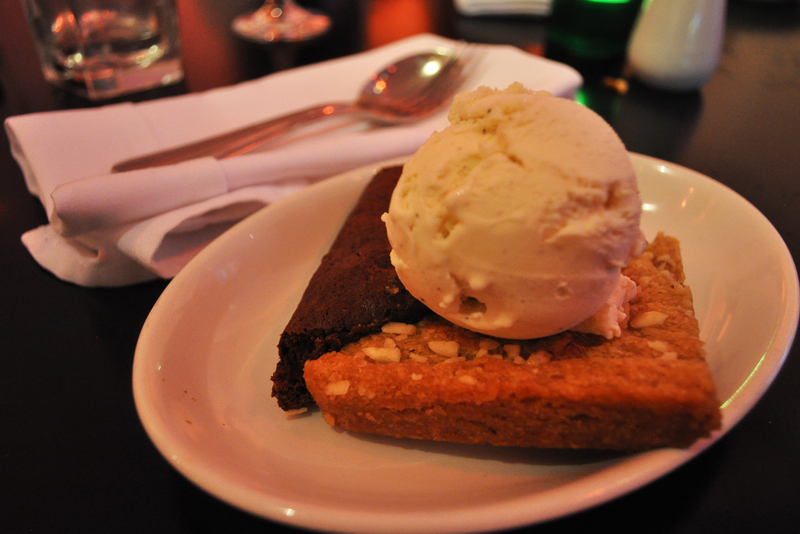 We both opted for the Chocolate Brownie and Peanut Butter Blondie topped with Vanilla Ice Cream- Lush! 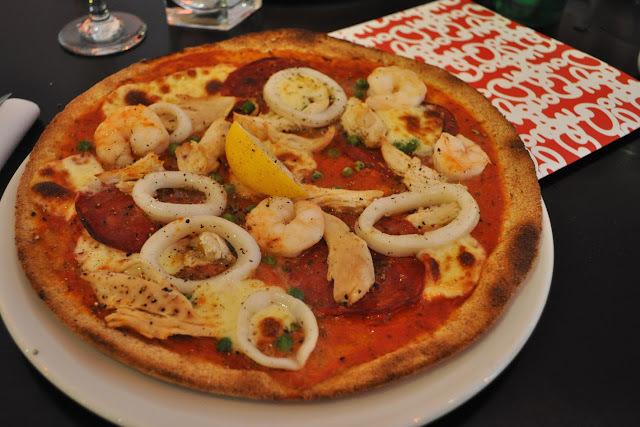 Overall, I loved my experience at Dough Pizza Kitchen and I definitely want to go back and try another one of their amazing pizzas- I would recommend it to anybody who is looking for a place to eat in Manchester, the service was wonderful too! After the meal, Rosy sadly had to leave us, but the rest of us decided to find somewhere to enjoy a cocktail or two- We settled for Dry Bar as it wasn't too loud and busy so we would be able to have a nice chat. It was a lovely way to finish off a great evening, sipping on my Starburst cocktail (which did, in fact, taste like Starburst!) whilst discussing all things blog and life-related. Before we headed off home, we decided we wanted to meet up and venture in to Liverpool the next day. I was going to squeeze both days in to one blog post but there are so many pictures and I think this post is already getting a little bit long haha, so part two will be up in the next couple of days! It was so much fun having a catch-up with some blogging girls outside of a blogger event- Make sure you check the other girls' blogs out if you haven't already- They're all fab! I hope that we get to do this again soon, and maybe the lovelies from Get The Label will be able to join us too?! I love how we both cleaned out plates of pizza AND dessert. We are invincible! This sounds like a great night! 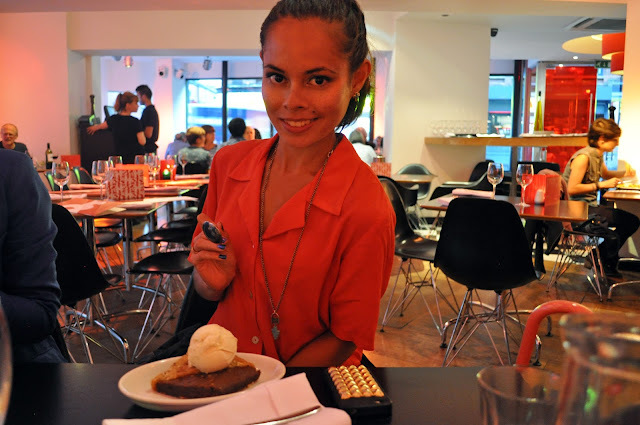 I wish I could meet up with bloggers, not sure of any up in the North East! If you know any let me know? Loking at that pizza is making me hungry. Lovely post. 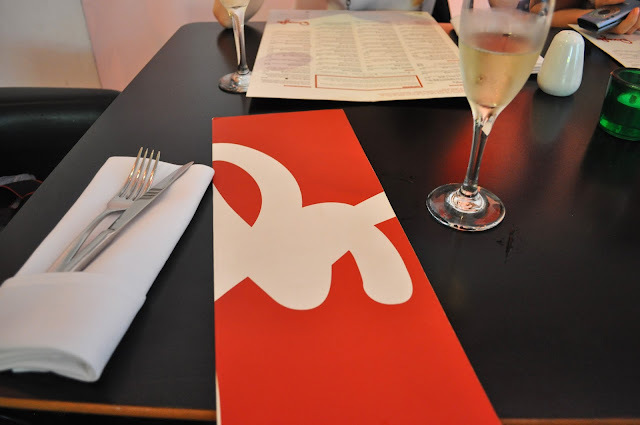 Looks like you had a great time and the food looks yum! That.Pizza.Looks.Amazing. I have never been to Dough but would love to now! How bloody lovely of Get The Label!